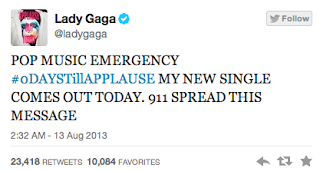 Gaga has to give in after high quality leaks started to appear online of her track a week before release, the Born This Way singer took to Twitter and declared a pop emergency. In a teaser campaign that doesn't seem as big as her previous album's first release, Applause has landed, with its 80's Bowie-esq feel, sounding more like Gaga we first loved with a track that didn't make The Fame Monster, however with quite a few synthesisers thrown in. SCP judgement is we do like it, its better than many tracks that featured on Born This Way and it needs to be played loud on the stereo however not sure all her fans will be as keen. 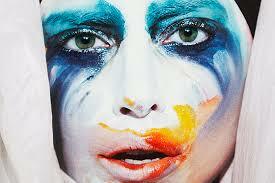 Applause is the first single to be release of Lady Gaga's third album ArtPop due out later this year. Check out the track below..!